I love getting creative with fabric dye and one of my favorite techniques is ice dyeing. The process only requires two things- ice and powered dye. What I love so much about this technique is that you are able to get color that has a more ethereal and watercolor look to it. First, grab something white! I used a cotton dress. 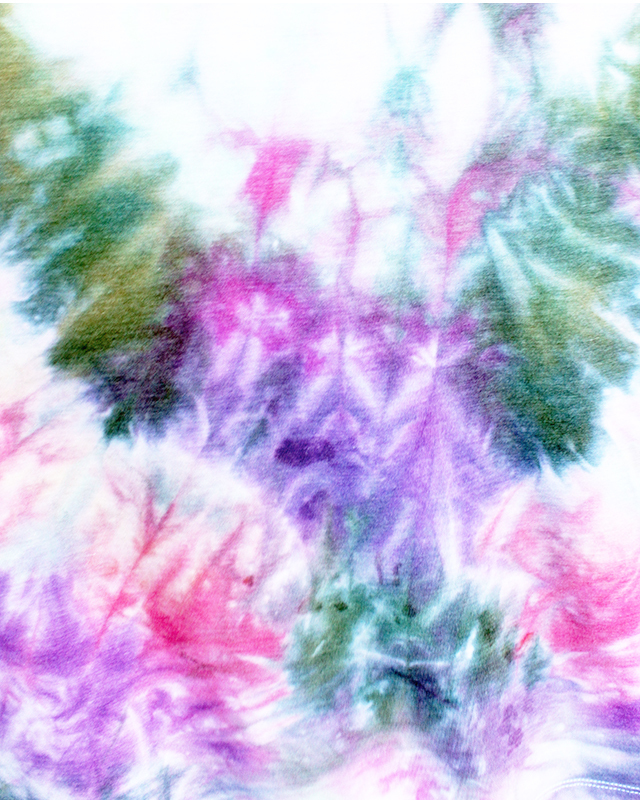 I like dyeing fabric that is wet so after washing the dress, I started the dye process. Using a large container crumble up your fabric and place it inside. At this stage you could also use tie dye or shibori folding techniques but honestly, I love the look of crumbled fabric! Next, completely cover the fabric with ice cubes. 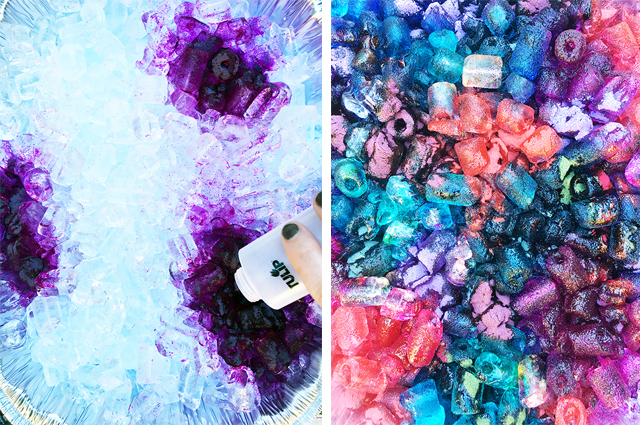 Using powdered dye (I used Tulip One Step Tie-Dye Kit in a variety of colors), begin sprinkling dye over the ice. When working with powdered dye, it is recommended to wear a dust mask. I used a variety of color in different locations. 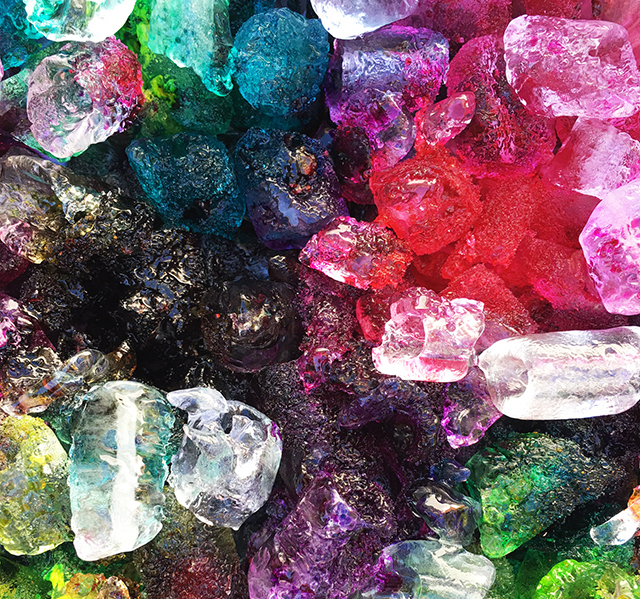 TIP: Be thoughtful about where you sprinkle the dye, if you layer too many colors on top of each other they will blend together and make the color brown. Now it's time to sit back and let that ice melt! 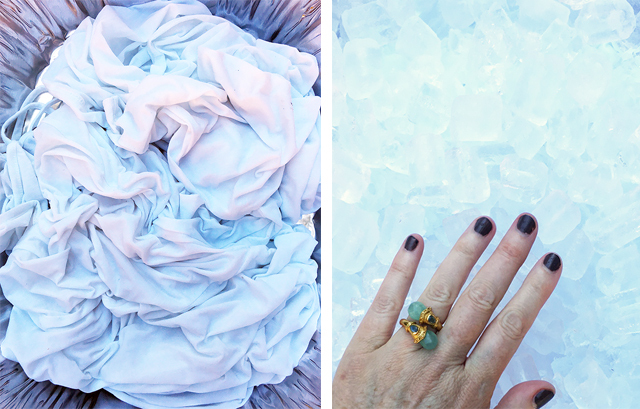 As the ice melts, the dye will drip and soak into your fabric. I worked on this project on a sunny day so it took about 3 hours in the sun for my pile of ice to melt. Since I wanted a lighter, less saturated look to my fabric, I removed and washed my fabric after about 4 or 5 hours. The results will vary depending on the dye that you use but typically letting dye soak into your fabric longer will create deeper, darker color. 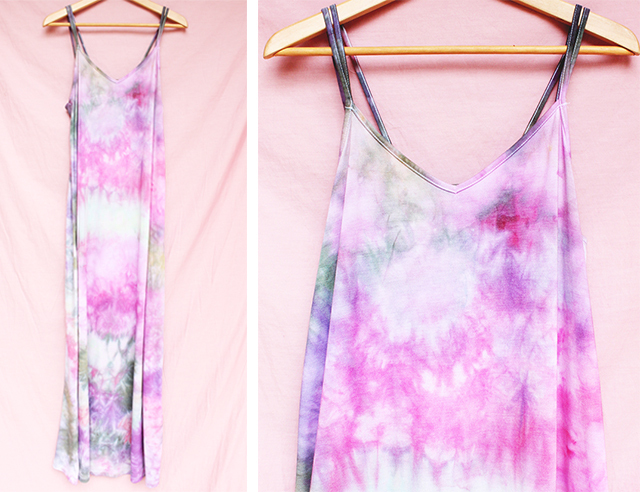 Next, wash and dry your fabric. 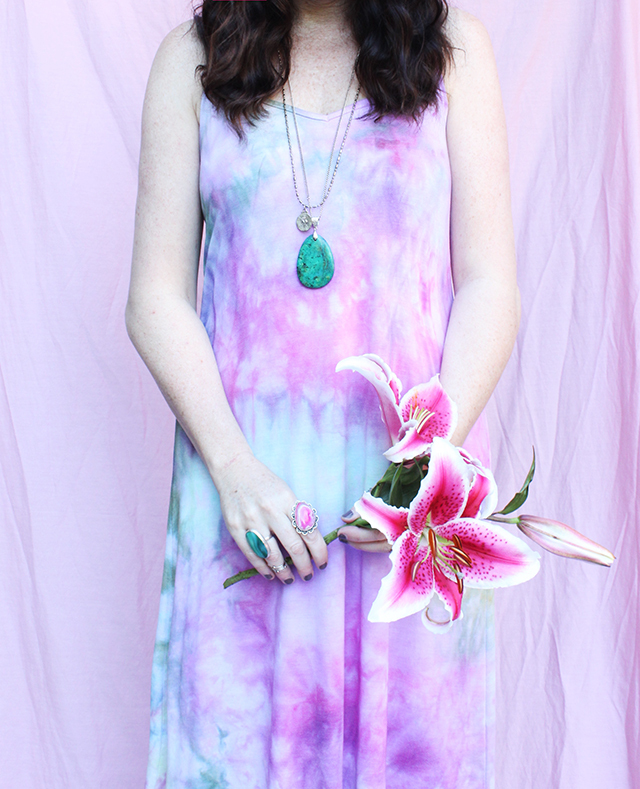 I love this technique because it is so easy but I really love that the result is a little more subtle than your traditional tie dye look! Alisa, I am a big fan of yours and love everything you do. However, I needed to comment today on a safety issue with dry dyes. When using dry dye to ice dye (I have been ice dyeing since 2011, wrote the first article on the technique back then, and now teach ice dyeing but with fiber reactive dyes) it's important to wear a dust mask so you don't breathe in the small dye particles. 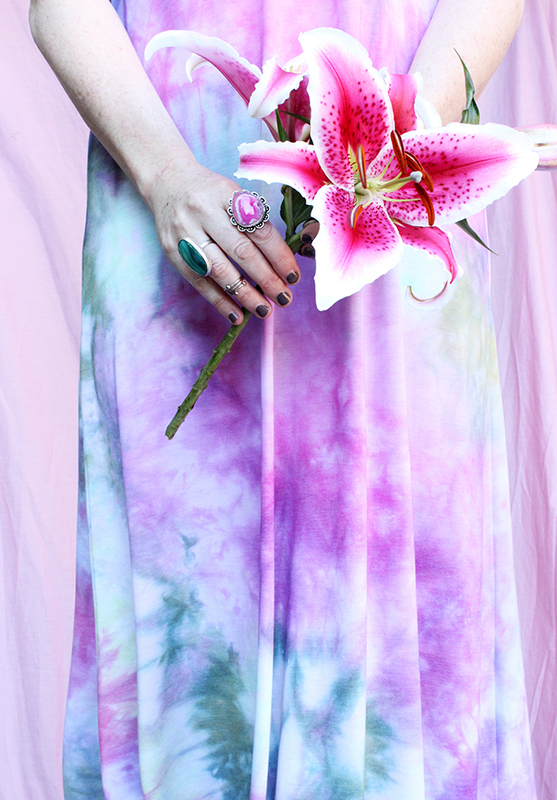 Even though you're using Tulip dyes, it's still dye that can become airborne. I believe in being safe and keeping our lungs healthy. This is especially important if you ice or snow dye with children. Thank you for all of your inspiration. Beautiful results. I also love to do this with snow in the winter time. It sure helps to beat the winter blues. Thanks for the feedback Lynda! I will edit my post to include this. I wear a mask most of the time when I'm working with any materials that are airborne (dust from dye or even when sanding layers of a painting, smoke when I wood burn, even when I'm working with certain types of paint, I wear a resperator). I guess I've always assumed people likely know to that this is important but I shouldn't assume!! Thanks for the reminder!! Thanks for this post, including the safety tips, too. The dress and the subtle colors are beautiful. I love this! Your results are so beautiful! Thanks for sharing this technique. It is simple enough that I am eager to try it. Beautiful! 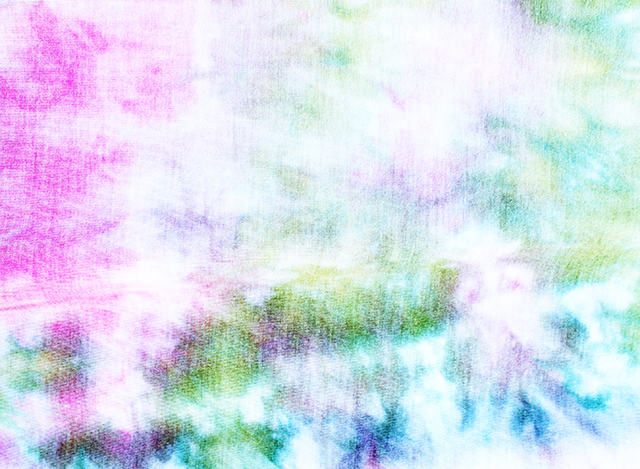 I plan to try this to make fabric for throw pillows. My granddaughter loves to craft with me so we could make her some t-shirts also. more messy pouches in the shop! color me coloring subscription now available! SALE: 2 more days left!